Baird analyst Colin Sebastian believes the Xbox One and PS4 will ship as many as 3 million units each before the end of 2013. The arrival the Xbox One and PS4 are only a few short weeks away and already Microsoft and Sony are expecting the sales to be record breaking. That being the case, some are predicting that the big sales will extend beyond just the console's initial days of launch. According to one analyst, the industry can expect millions more next-gen consoles to hit homes by the year's end. 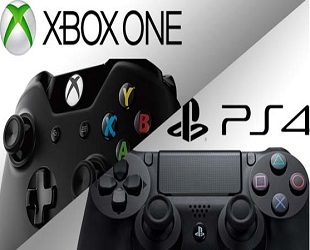 Colin Sebastian, an analyst with Baird Research, has predicted that the PlayStation 4 and Xbox One together will ship as many as 6 million units worldwide before the end of 2013. He believes that each console will move about 1.5-2 million units in North America with a total of 2.5-3 million units each around the world. "While many forecasts still give an edge to Sony/PS4 in North America sales, we continue to expect similar or even slightly higher sales of Xbox One by the end of the launch window," commented Sebastian. "Retailers in our checks indicate there is consumer demand well in excess of supply, as evidenced by fast sell-outs of incremental unit allotments, such as at GameStop." While we won't delve into the whole question of which one is going to sell more (we'll find out soon any ways), it honestly wouldn't surprise us to see the next-gen consoles do as well as Sebastian is predicting. The excitement of a new generation launch aside, the holiday season will be in full swing around the time the PS4 and Xbox One arrive on shelves, practically guaranteeing a stream of spend happy consumers looking for expensive toys to buy their children. So unless the Wii U manages to become a hot commodity between now and New Years, it's probably safe to say that Sony and Microsoft will be selling a lot of hardware this year.